You’ve heard the story before. A young gun 20-something in Sales living the bachelor’s life at a fast pace. He’s making it happen with all the material possessions that point to success – a nice paycheck, condo, a Porsche in the garage and late nights at all the hot spots in town. Then Steve Fretzin climbed into a small plane and his outlook on life as an entrepreneur changed forever. The plane crashed into a house in Crystal Lake. While feeling lucky to have survived the experience, Fretzin was badly hurt and his recovery over the next several months was anything but pleasant. Upon healing after the long road back, Fretzin had the wake-up call about having a greater perspective on life and “living every day as if it were your last,” that you might expect when one has a life-altering experience. But it wasn’t confined to his personal relationships. He had a wake-up call for his career too. 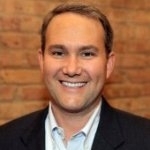 Today, as the President of Sales Results, Inc., Fretzin has become one of the top sales trainers in the Chicagoland area and has appeared on several media outlets as an authority on sales, networking and how to create deeper connections in business through developing strategic partnerships. #1 No matter how smart you are, everyone needs help. #2 Genuinely help people and build relationships so that when you need help, you can call on them. You can’t just be a “Taker” – you need to get to know people, help people and stay in contact for the relationship to blossom. You shouldn’t just sit on your rear end and expect strong relationships to happen. Even here, Fretzin says that people can confuse activity with progress. Which is why he is a big proponent of setting an agenda for each meeting and by the end of that meeting, both parties agreeing to specific and actionable steps to see if there’s a fit from a networking or sales perspective. It is critical to continue your education and never stop learning. Whether it’s learning sales, how to interpret web analytics or social media, it’s imperative to commit yourself to learning new things. People who stop learning and believe they’ve learned all they’re going to learn will get stale. If you do read something you know, it’s will simply reinforce that you are on the right track. #5 Don’t “sell” people, but rather walk them through a buying decision. That’s right. A sales coach which is telling you not to sell in order to drive the business forward. In his new book entitled “Sales-Free Selling: The Death of Sales and the Rise of a New Methodology,” Fretzin explains that in today’s competitive marketplace, there’s no reason to carry the traditional sales approach into a meeting. 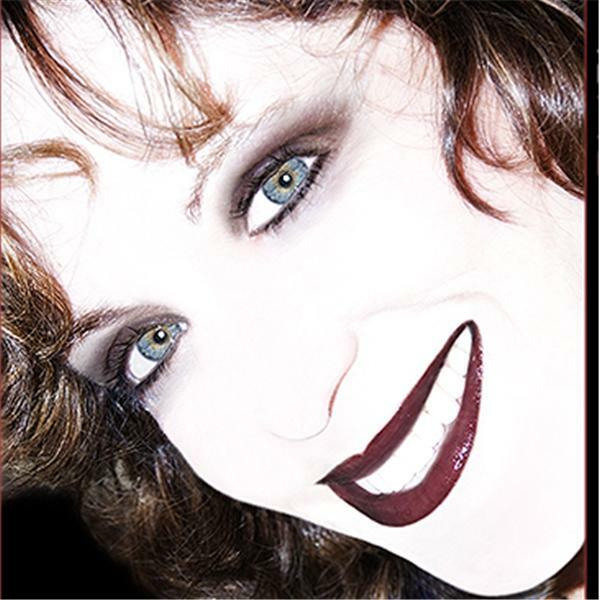 Deborah Shane, host of "Metropolis"
Yesterday, it was my distinct honor to join my colleagues at the Personal Branding Blog for Deborah Shane’s Blog Talk Radio program, “Metropolis.” In addition to myself and Deb Shane, the panel included Wendy Brache, Devin Hughes and Elinor Stutz. If you have about 30 minutes to spare, I think you’ll find it a worthwhile listen as we covered some great ground on personal branding in the digital age. Click on the show’s link above and let me know what you think. You Are Not Your Business Card. I started thinking about how this defines so very little about why people find our personal brands memorable. We lead with what’s on our business card. But when people talk about you to others, what will they say? Having just finished the excellent Guy Kawasaki book, “Enchantment,” I’ve realized that likability and trust make for a more compelling position than simply relying on where you work and what you do to bowl people over. Primarily because it shares so little of you as a person. Not bad, I suppose. But I’ve heard the beginning and end of the whole story. Wow. I want to know more. Why was that process so enjoyable? Can I meet him? And by the way, wouldn’t we all want to be described in this way instead? How does one get to a description like the second option? 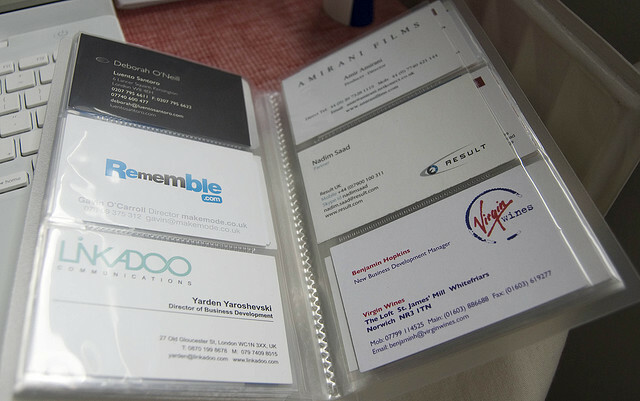 A good place to start is to de-business card yourself. I don’t mean actually trashing them all but mentally learning to strip away the contents. All of it. The company. The title. The e-mail address. The phone number. Even the occupation itself. Imagine all that going out the window. What’s left? So many people consider just the summary and work history of LinkedIn. But think about the applications you can add that convey other factors, like what you’re reading (Amazon Reading List), what your interests are (don’t just list the professional ones) and Groups (boards, country clubs, etc.). Assuming you’ve had positive connections, those Recommendations will inevitably help people see the side of you that’s a relationship builder – so don’t be afraid to ask colleagues and clients for them! I can’t say enough about how a blog will help you develop an original voice that’s helpful, humble and eager to share content. Building credibility is important, but the reward isn’t in trying to be an all-knowing authority that never gets a response. The reward is in inspiring conversation that grows beyond a post and takes on a life of its own (all the while, the positive attributes of bringing a “community” together are credited back to you). People are feeling you out to see if you’re someone worth following. Here lies an opportunity to prove your thought leadership and show your passions on a topic unique to your industry that extends far outside just “what you do” and “who you work for.” One tool I like to use to add depth and context to my tweets is PeerIndex. The broader my PeerIndex “topic fingerprint,” the more it overlaps nearby related topics and the more I tend to garner interest. For example, if you tweet about a new piece of technology, you may expand your authority by conveying how that technology has implications for media or science rather than commenting purely on whether or not you like it. It takes some practice to get comfortable in front of the camera, but if you do, it can go a long way toward someone visualizing taking a meeting with you. As you do engage in YouTube videos, however, I encourage you not to picture yourself merely as “VP of…” Again, think above and beyond your current status and instead picture yourself as a leader, resource, a helpful ally in a peer’s search to find answers. Think of how transparent you can be on a topic that stirs your passions. Then keep a schedule of when you can consistently record and upload videos. We’d all like to think we’ll be at an employer that makes us happy for quite some time – and perhaps we will be. But even so, developing your personal brand beyond what your business card says you are enables you to define yourself as something so much more than a title and occupation – a likable, trustworthy personal brand that people can’t get enough of.